Recent release “The Awakened: A True Life Experience” from Page Publishing author Wil Woodard is a potent, honest testimony of UFO sightings and encounters with the unknown. 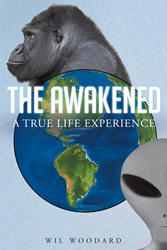 Wil Woodard, a nature enthusiast and avid traveler, has completed his new book “The Awakened: A True Life Experience”: a gripping narrative of the author’s documented experience with human-like, ethereal entities seeking to communicate with him. Published by New York City-based Page Publishing, Wil Woodard’s intense story details many parts of his encounters with extraordinary beings. “The Awakened” covers a very personal and intensive two-year period of UFO activity in Wil’s life. Walk with the author through the most extensive, illuminating, and intimate UFO encounters of his generation. Drawn from his journals, Wil’s experiences were not random or recorded at a later date, but rather written down directly or within a few days of his encounters. He has created a complete record of dates, roughly calculated lengths of missing time, and preserved many details of the events. Wil’s revelations exemplify how these experiences can be relentlessly memorable and shocking to any individual. Readers who wish to experience this mesmerizing work can purchase “The Awakened: A True Life Experience” at bookstores everywhere, or online at the Apple iTunes store, Amazon, Google Play, Kobo or Barnes and Noble.